Your garden or property needs the privacy it deserves. To keep out trespassers or to deter unauthorised entry, you need more than a security fence. 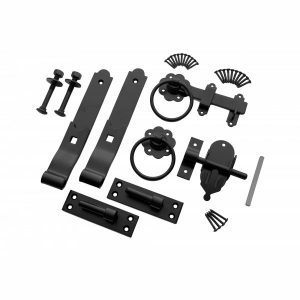 You best option is quality gate lock set from Sheds to Last. We have the best locks for all types of gates. Whether it’s a metal or a wooden driveway gate, we will help you consolidate your security and access. Choose our manual, digital and electronically operated locks and their accessories. We have experts on standby to guide you on the best locks to pick. The locks you get from us are suitable for different applications. We have garden gate locks, locks for side and main gates. We will keep your residential and commercial premises secure with our locks. Our locks come with appropriate fixtures and accessories. We will help you to screw fit, weld or bolt-fix them to your wooden, metal or wrought iron gates. We guarantee you a hassle free opening mechanism years after the lock is installed. If you have heavy duty gates, we have the best locks to match such applications. Our industrial metal gate locks are ideal for go-downs and large-scale storage warehouses. We have standard locks for residential gates and our guarantees are hard to find. Whereas our gate locks are simple, the come with reinforced security assurances. 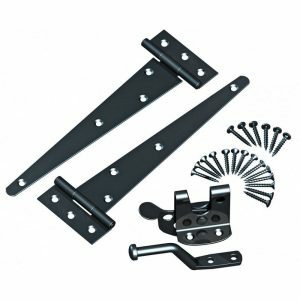 At Sheds to Last, we are recognised for our excellent customer service and dedication to providing high quality gate lock sets. We never provide cheap. If you aren’t satisfied with our locks, we will refund you. We keep up with new gate lock techniques and innovations. Our focus is to provide tamper proof gate lock systems and accessories. Contact us and enjoy our range of gate looks for domestic, commercial and industrial applications.